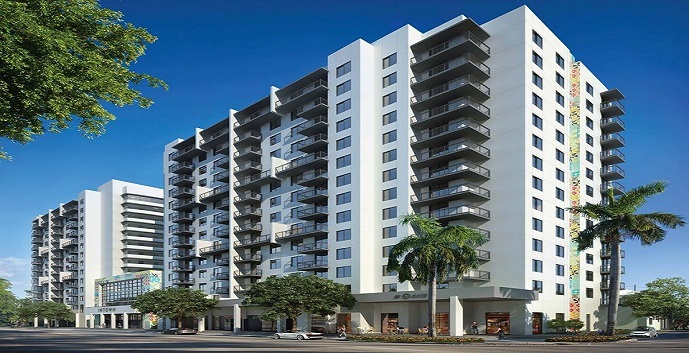 InTown Condos by Astor Companies is a new condominium located on South West Eighth Street, just three miles west of Brickell Avenue, in Miami; close to shopping, restaurants, nightlife, entertainment, parks, and highways. InTown amenities include 20,000 square feet of ground-floor retail and dining space, a 14,000 square foot pool deck, an oversized resort-style swimming pool, a state-of-the-art fitness center, business center, Club Room, assigned parking, valet service, a 24-hour reception desk, 24-hour security, and more. Slated for 2015 release. Please contact for information. Unit A - 1 story, 1 bedroom, 1 bath, 718 total square feet. Top features include a gourmet kitchen, spacious living/dining area, and a private terrace. Unit B - 1 story, 2 bedroom, 1 bath, 969 total square feet. Top features include a gourmet kitchen, spacious living/dining area, and 2 private terraces. Unit C - 1 story, 2 bedrooms, 2 baths, 1019 total square feet. Top features include a gourmet kitchen, spacious living/dining area, and a private terrace. Unit D - 1 story, 2 bedrooms, 2 baths, 1033 total square feet. Top features include a gourmet kitchen, spacious living/dining area, and a private terrace. Unit E - 1 story, 3 bedrooms, 2 baths, 1288 total square feet. Top features include a gourmet kitchen, spacious living/dining area, and a private terrace. Townhouse - 2 story, 3 bedrooms, 3 baths, 1514 total square feet. Top features include a gourmet kitchen, living room, dining room, and spacious terrace.